The Prowler is an inventive burglar who after battling Spider-Man decides to change his ways. He helps thwart a variety of burglars, joins Silver Sable's Wildpack and eventually serves as Peter Parker's corporate bodyguard. Prowler is potentially one of the villains set to appear in the film Spider-Man Homecoming. Hobie Brown is an inventive but angry teenager. After getting fired from a job as a window washer Hobie hatches a plan to steal goods only to return them as himself and get praised for being a hero. He builds a special Prowler suit and uses it to rob the Daily Bugle payroll. There he is confronted by reporter Peter Parker who ends up being tossed from a window. As he escapes he is confronted and beaten by Spider-Man. Spider-Man unmasked Hobie and realized that he was a misunderstood youth much like himself. He tells Hobie not to throw his life away as a criminal. Hobie takes Spider-Man's advice and gives up his criminal career. He is however pulled back into the super hero world on numerous occasions. Hobie has impersonated Spider-Man on various occasions at Spider-Man's request. The first time was after a hallucinating Peter Parker revealed to his friends he was Spider-Man. Needing to re-convince his friends that he was in fact not Spider-Man, Hobie did an impersonation of the webslinger in-front of him. The Prowler's gear was stolen by a 2nd Prowler who used the suit to kill a person. The Prowler and Spider-Man worked to defeat the new Prowler and the suit was returned to Hobie. The Prowler was recruited as a mercenary and burglary expert by the Silver Sable's Wildpack organization. He joined a variety of reformed criminals in the group. He was part of the group that mourned Stilt-Man at the later's funeral. He narrowly missed the assassination of the Punisher planned at the former super-villains wake. In the post Secret Wars world Peter Parker is the head of a massive corporation Parker Industries and he claims to use Spider-Man as his body guard. Needed to have Spider-Man appear at his side in official functions Peter hired Hobie Brown to impersonate Spider-Man. The two men join forces from time to time as they did against the Zodiac leader Pisces. In a parallel universe Hobie Brown is a version of Spider-Man known as Spider-Punk. 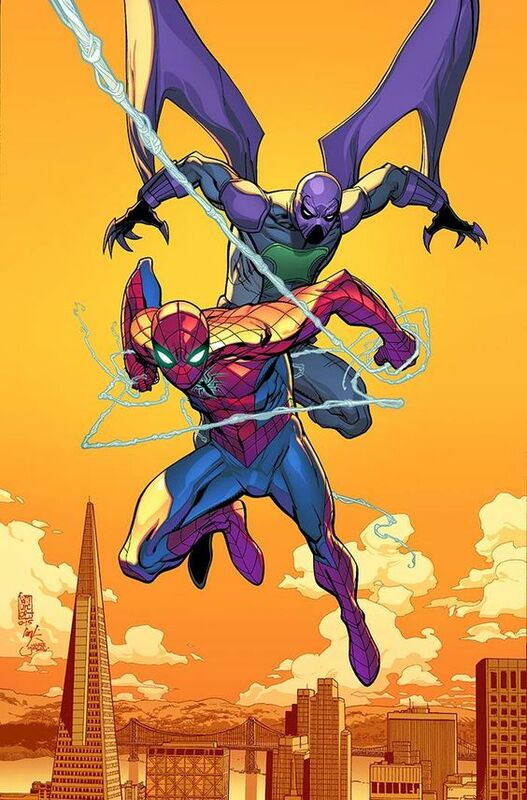 In the Ultimate Universe the Prowler is the criminal uncle of Miles Morales who later takes up the mantle of Spider-Man after his universe's Peter Parker is killed. Has a super suit and variety of gadgets that allow him to climb and move silently. He also has gadgets that can be used to create distractions and confusion so he can escape. There are thought to be three villains in Spider-Man Homecoming. One of the villains that is rumored to appear is the Prowler. Donald Glover plays a version of the Prowler called Aaron Davis. Other than the name difference it is not clear if there are other changes to his character. During the film Aaron Davis is selling Chitauri technology to criminals but gets caught in the crossfire and is saved by Spider-Man.